Damn, I almost forgot to post a blog today. Mets home opener and then some drama with students kept me from writing. The other thing that I am so into and have been for awhile is the Nintendo Wii. One of the things that I love about this game is that you can download games on to this console. Like old games or games that are downloaded as a part of “wii ware”. The games that I am addicted to are the online multi player games. Now, I am not trying to do the shoot up games because I am not that good at them. 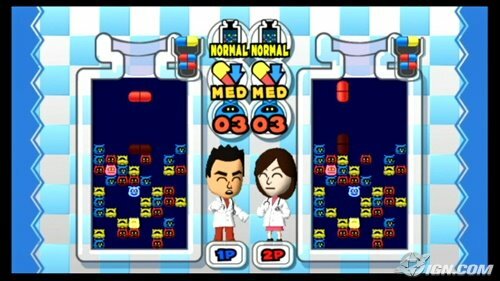 I am talking about games like, Mariokart Wii, Dr. Mario, and Tetris. These games I can get down with. I don’t play all of them in the same time period, however, Dr. Mario tends to be the most addicting out of all of them. The game played by itself is just ok. When you play against people across the world, then it turns into a whole new game featuring cursing (by me) and hollering (by me). My response to you is BRING IT! Previous Previous post: Happy Easter…Are you ready to be Judged?